Free Games Offer: For paid Gold members only. Includes games for Xbox One and Xbox 360, with up to £240 value on Xbox One and up to £240 value on Xbox 360. 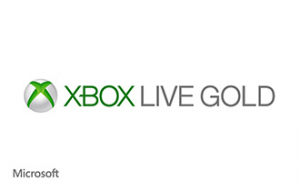 On Xbox One, active Gold membership required to play free games you've redeemed. Restrictions Apply. Savings based on retail value of game. Requirements and available features vary across consoles; Multiplayer between Xbox One and Xbox 360 supported for select titles. Download required. http://www.Xbox.com/backcompat Limited number of games available in 2018 support cross-device play; additional games to follow.Once the download starts, we can’t refund or accept a return unless it’s faulty. In which case, your legal rights are protected.